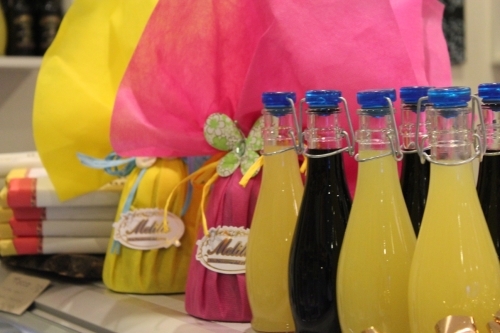 You are here: Home » Gifts and Hampers » "Limoncello Lovers"
A gift guaranteed to impress your "Lemoncello Lovers" friends; the liqueur is homemade by my mum in Italy using the lemon from her own garden. Such an unique treat! Perfect as a digestive to accompany the end of a nice meal. Lemoncello Liqueur 330ml Bottle Homemade Lemoncello Liqueur made with organic lemons. Join us for our monthly cookery classes or treat yourselves to a private lesson or book a cookery class as a team building event!